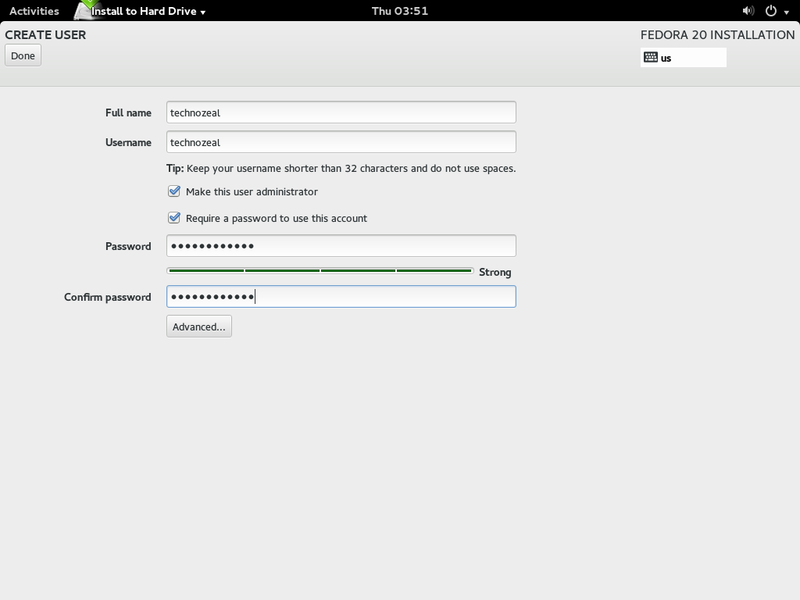 This is the post installation software configuration guide for Fedora 20. 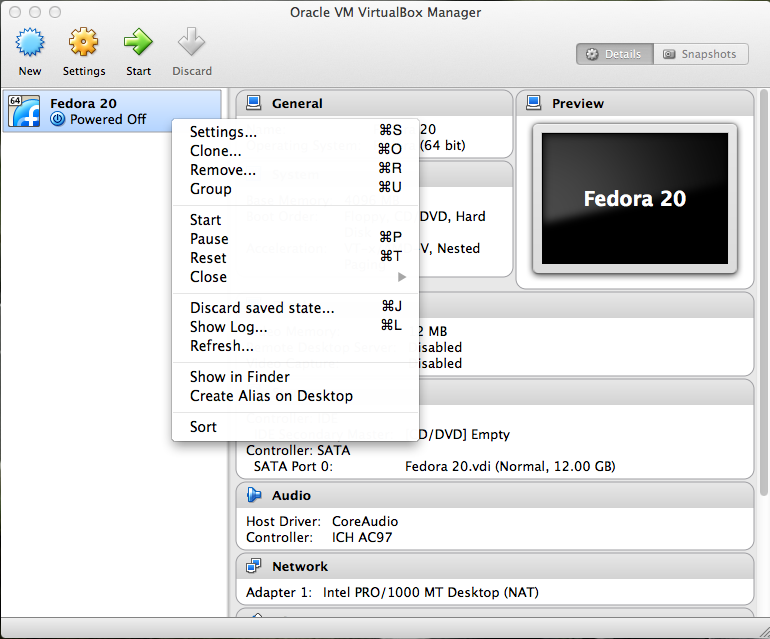 For installation of Fedora 20, please refer to Install Fedora 20 on VirtualBox with Guest Additions or Installation Guide for Fedora 20. For netinstall, refer to Install Fedora 20 using Netinstall. After installation of Fedora 20, the first thing you need to do is to update the system. You can search and install new software from this All tab. Select Updates, any new updates will be reflected here. You need to reboot the operating system if you have installed a new kernel. Some of the essential software applications were preloaded with Fedora such as LibreOffice and Firefox. Click on Software to launch the program. You can also browse through each categories looking for interesting software. Alternatively, you can also use command line to install the software packages. To install a software package, first you need to know the name of the software package. Then use the command yum to install the software you want. This application installation utility will automatically search for all the dependencies files and software while installing the application you desire. If you can't find the software you want using the command yum. Then you may need to go to the web site where they host the software and download the rpm file. Please note that if the software is depended on other software package to operate, you need to install all other related software package. The disadvantage of using rpm is that rpm does not check for software dependencies. Use rpm method as the last resort. 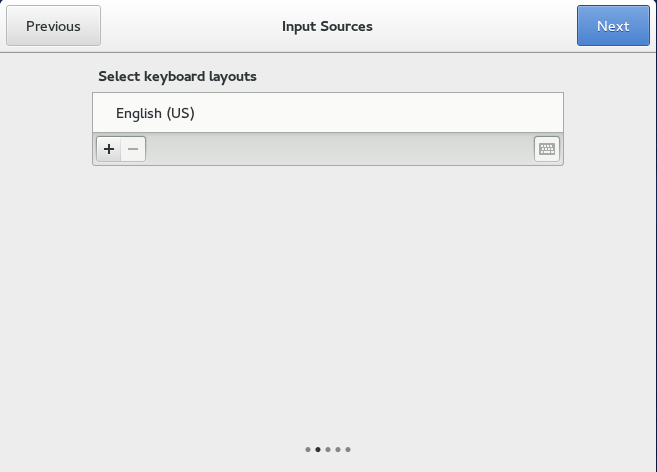 While yum utility automatically connects to the official mirror sites of Fedora to search and retrieve the latest software packages, you might want to add additional repositories that provide additional software. Two additional sites are recommended, they are rpmfusion.org and livna.org. Both sites provide additional software relating to media playing, such as playing DvD disc on Fedora. Note: Actually most of the software from livna.org is being hosted by rpmfusion, but there is one library file (libdvdcss) essential for DVD playback that is still hosted by livna.org. If you are not using DVD playback in your system, you can avoid adding livna as repository. Firefox is preloaded with Fedora but you need to install additional plug-ins and Adobe Flash Player. 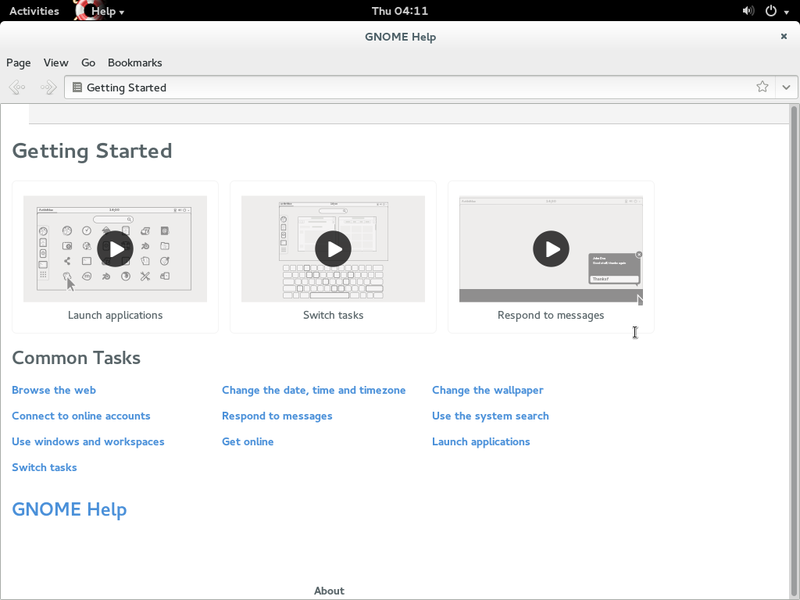 Libre Office is preloaded in Fedora, no action is required. wget is a utility that allows you to download http files from the web using command line. This is a useful tool for automating download. GCC is GNU C/C++ compiler. Kernel-devel is the kernel headers required to compile kernel files. Both files are required to rebuilt kernel or install drivers. Administrators may prefer the following command emulators. Programmers may prefer the following text editors and IDE. Gimp is use for image editing and gthumb is a small image editor. Fedora has default PDF reader and writer so no installation is required. For Firefox, select Print >> Print to File, make sure you specify the document type as PDF and also specify the filename and location of the file. For LibreOffice, use ‘Export to PDF’ function. PDF writer usually tie to the print function. You just need to use the print function and select PDF writer as the printer. To play the most common multimedia formats, including mp3, mpeg and wmv file, you need to install additional codec. We would recommend VLC Media Player because it provides many codec together with a player. To set VLC as the default player, click your <username> on the top right corner. Select System Setting. Click Details on the last row. Select Default Applications. Under Video select VLC as your default application. Playing DVD is more complicated because it involves restricted format. In addition to media player, you need to install CSS Packages. To check your region setting you need the package “regionset”. After installation, use the command $regionset. Your region setting will be shown. Please search the web on how to use k9copy. Users can now choose to install Fedy (formerly Fedora Utils). This is an utility tools that helps to install codes and additional software Fedora don't ship. 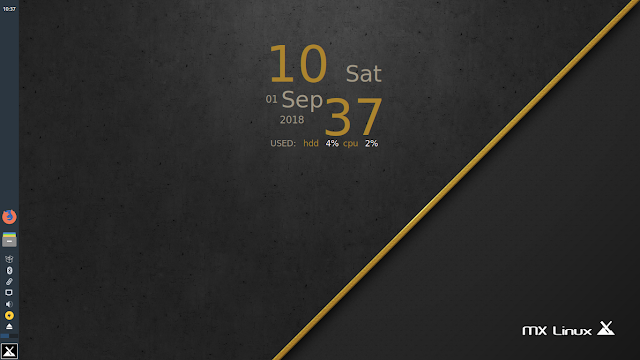 In addition, this utility also includes additional tweaks and configurations. This software is design for new user and provide a simple to install software at one click. Presently, this package is hosted in github and it is not in any repository. Once the installation is complete, you can search for this package using the term "Fedy". Please visit the site for more information. Note: Adobe AIR does not worked on Fedora 20. Users need to find other alternative. You can download the script FC00-software-install-noarch to automate the installation for above-mentioned software. After downloading the script, please read the script carefully and hash (#) out any installation option or command that you do not want to use. Any command with a hash (#) in front will not be executed. Note: Just updated the rpm fusion repository. Please comment below if you encounter any problem. 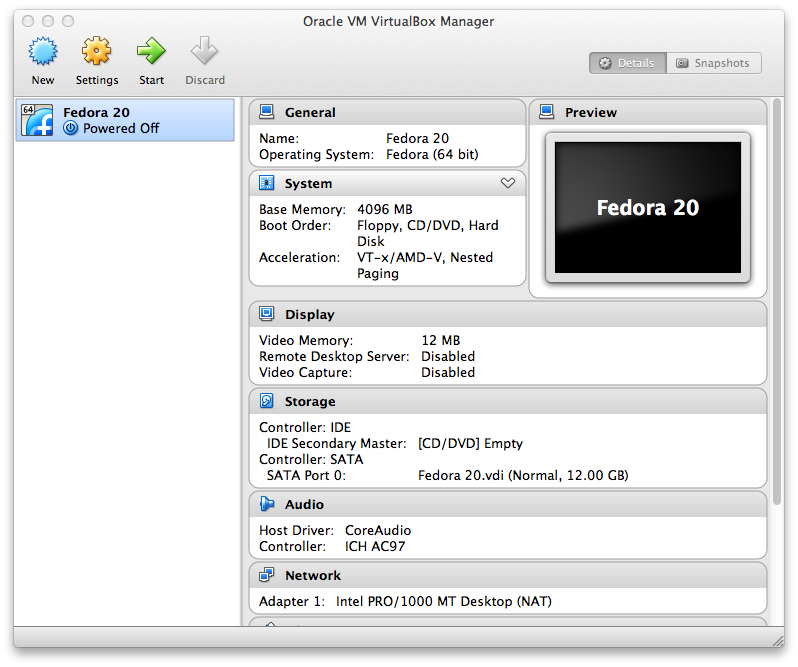 The following installation guide demonstrate the procedure for installing Fedora 20 on VirtualBox. This procedure was tested on VirtualBox installed in a Mac Mini host. 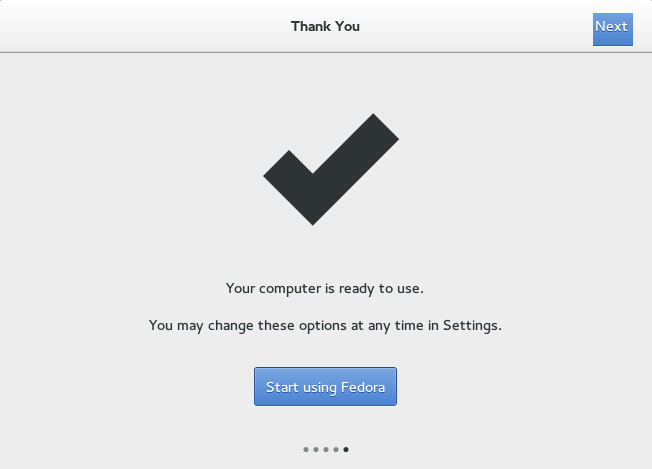 For installation of Fedora 20 on a computer, please refer to Installation Guide for Fedora 20. 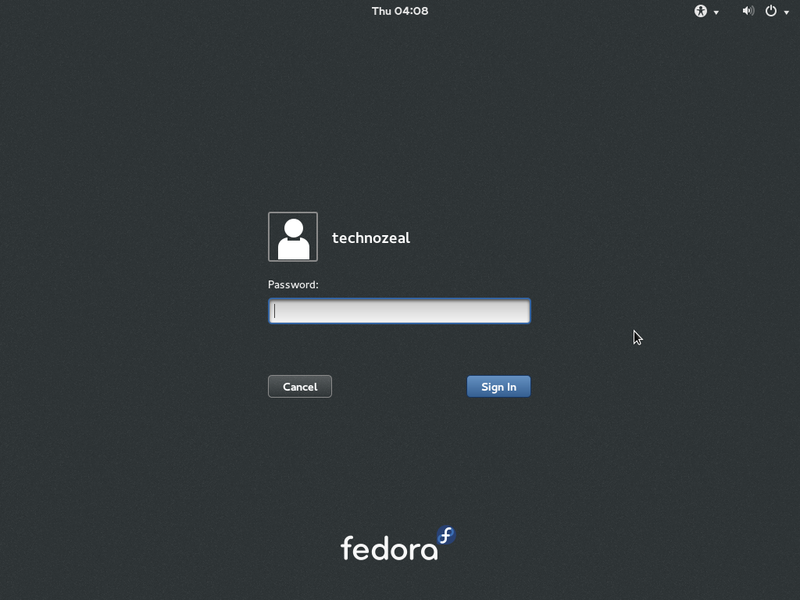 For netinstall, refer to the post Install Fedora 20 using Netinstall. 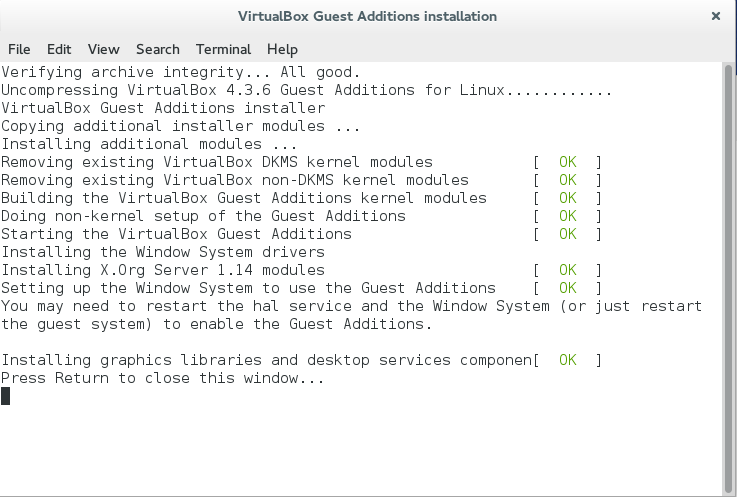 This installation guide consist of 3 parts: Configuration of Virtual Machine, Installing Fedora 20 and Install VirtualBox Linux Guest Additions. 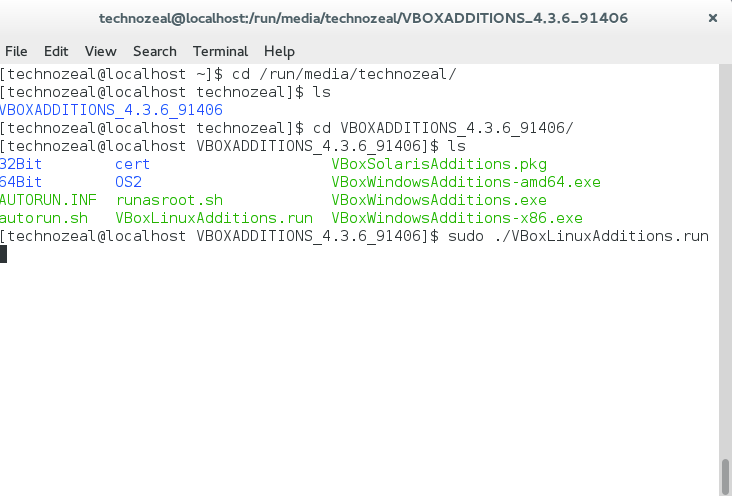 On the VirtualBox Manager, click New. 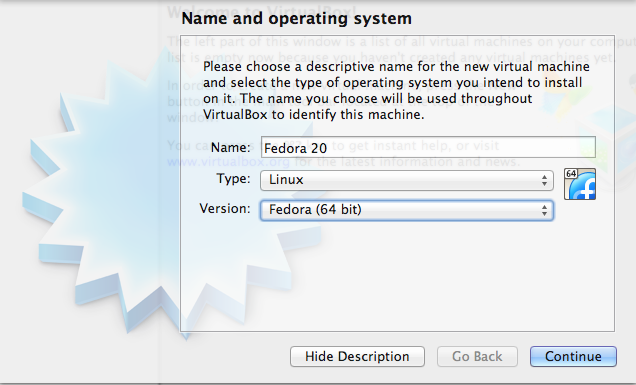 Enter the name of virtual machine, select Linux as type and select Fedora. Click Continue. 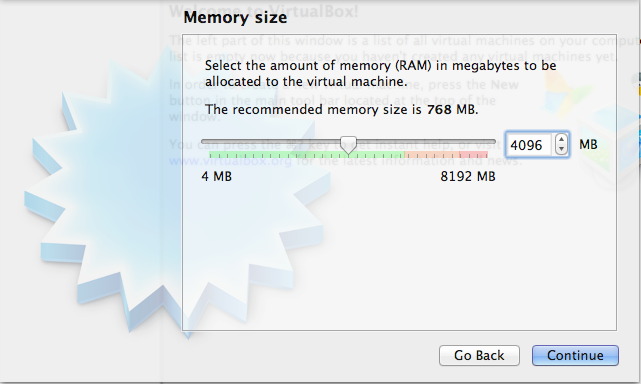 Enter the allocation of system memory to the virtual machine. For Fedora system GNOME desktop it is recommended to allocate 2048MB or 4096MB depending on your resources. Click Continue. 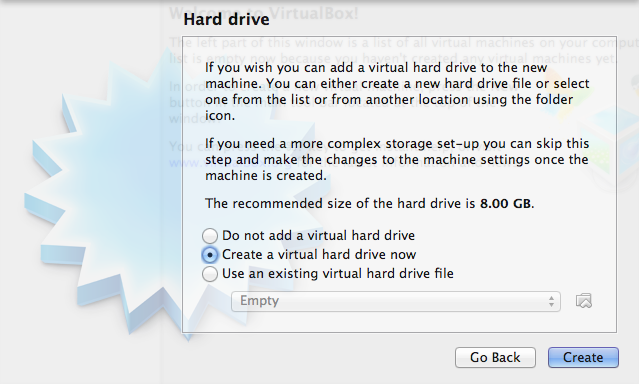 Select "Create a virtual hard disk now". Click Create. Leave the hard disk file type as default. You can choose other file type so that it can be ported to other virtual system. Click Continue. Use default "Dynamically allocated". Click Continue. Enter the hard disk name. You can also increase the hard disk space of the virtual hard drive provided your physical hard disk space can accommodate the disk space when needed. Click Create. 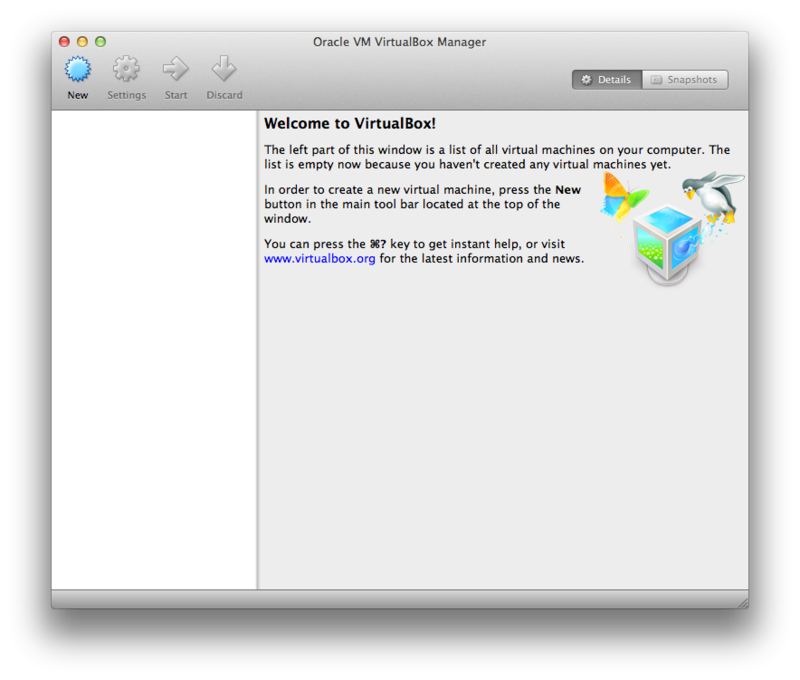 After the creation, you are back to the VirtualBox Manager. Highlight the virtual machine. Select Machine >> Settings. Select the System tab and select Processor. You can allocate additional CPU for this virtual machine. Select the Display tab. 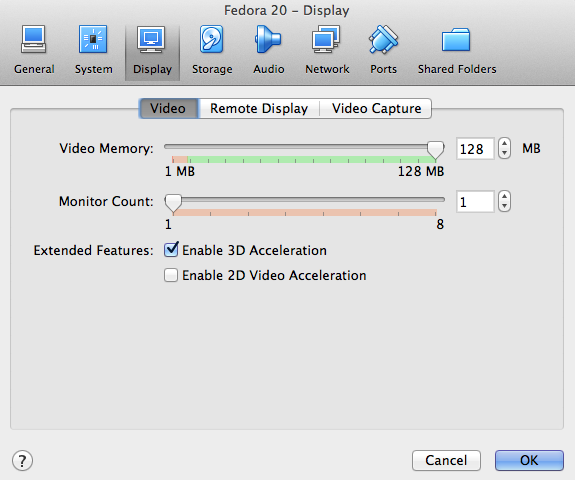 You can allocate additional video memory for this virtual machine. It is recommended you use the maximum of 128MB as shown below. 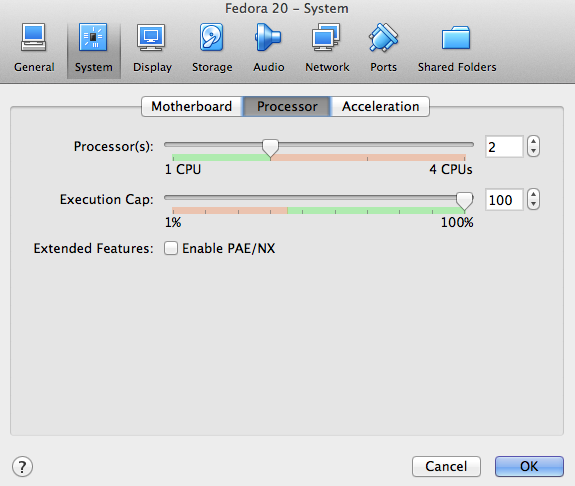 Click to Enable 3D Acceleration if required. Start the virtual machine. On first boot you are given a dialog box to choose the disk image you want to use. Select the appropriate disk image and click Start. One the system is booted up. The following screen appears. 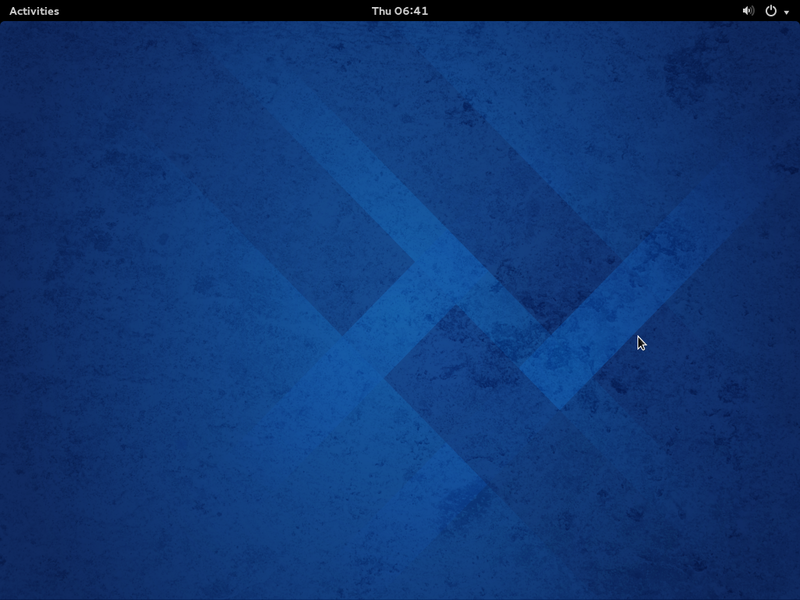 You can test Fedora 20. 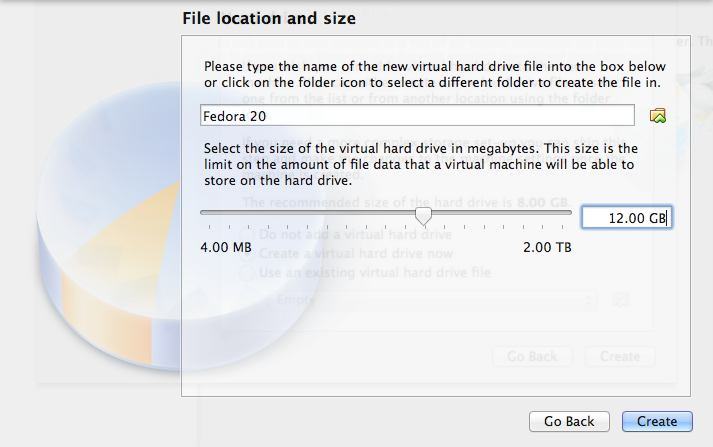 To install Fedora 20 right away, click Install to Hard Drive. The first screen of installation wizard is shown below. Select the language you want to use. On the installation summary, you'll notice that there is a warning sign on installation destination. You need to confirm the installation target drive. Click on INSTALLATION DESTINATION. As you can see the only hard disk was already checked. Do not click the hard disk again as it will uncheck the target drive. If you have more than 1 disk, make sure the correct disk is checked. Click Done on the top left. 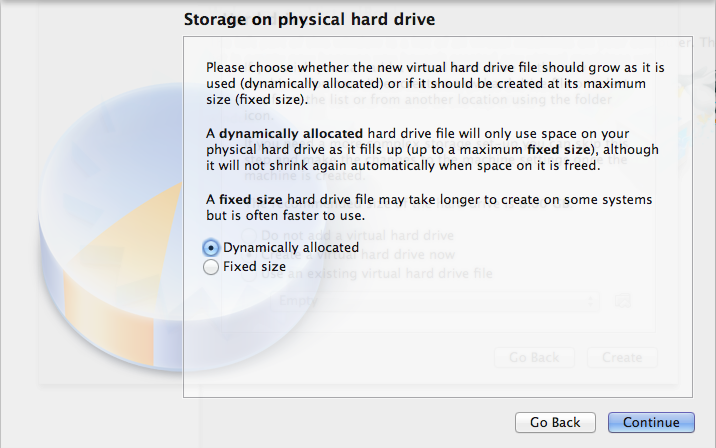 The dialog box below allows you to configure the partition manually. I usually let the system configure it automatically, however, I would change the partition scheme to standard partition. 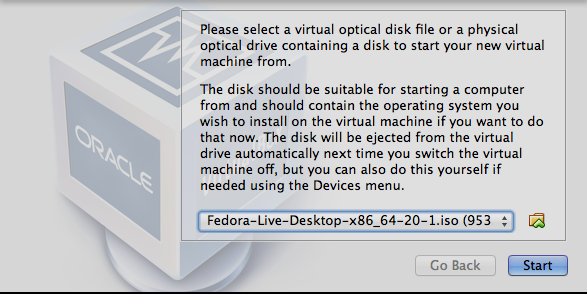 Leave as LVM mode if you think you might run out of disk space. 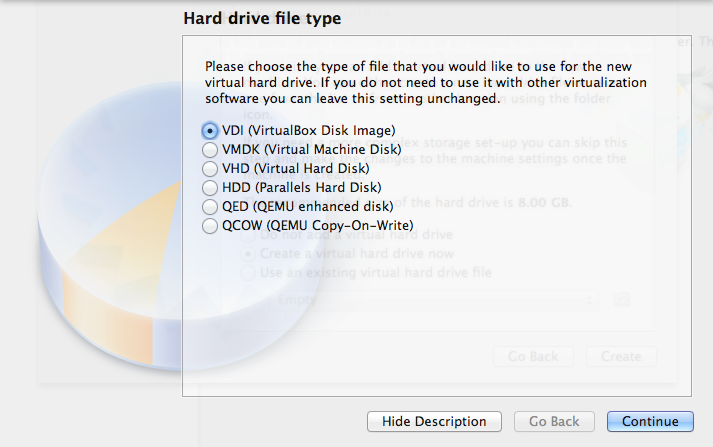 LVM mode is useful as it can layer a single partition on two hard disk. Click Continue. Review the summary page and change any setting such as time zone or keyboard. Click Begin Installation. Click Quit on the lower right corner when installation is complete. Shutdown the system first. Remove the boot disk from the storage by selecting Machine >> Settings. Select the Storage tab, highlight on the disc image on the left panel and then click on the disc image on the right panel and select Remove disc from virtual drive. Click OK when done and start the virtual machine again. You will be shown the login screen. The following dialog box will be shown for the first time: Select English and click Next. 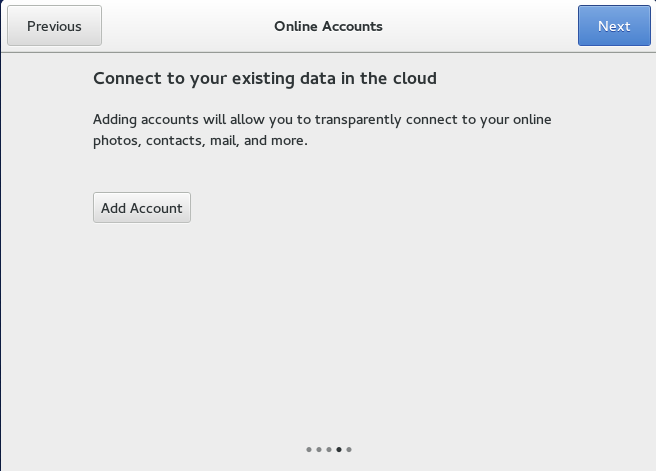 This dialog box allows you to configure your cloud storage. Click Next. Finally, the Help screen will appear. 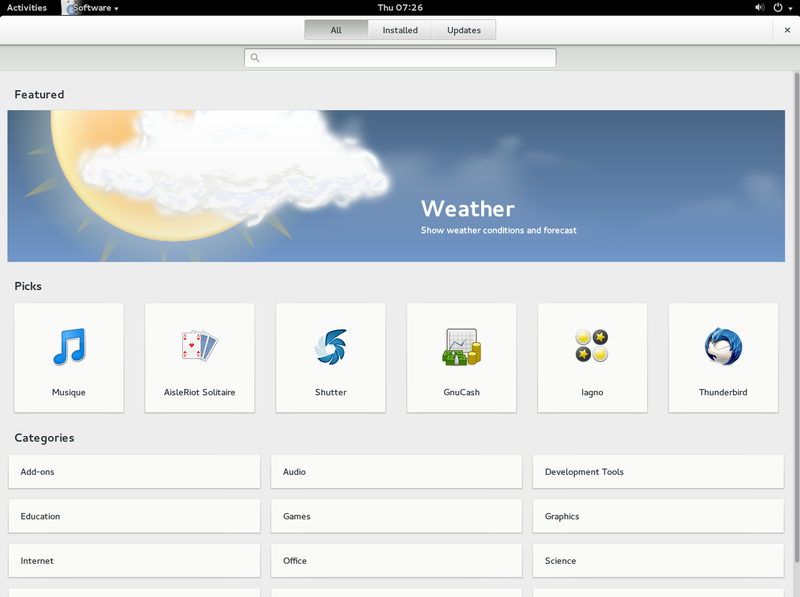 If you are not familiar with GNOME you may want to take a second to watch the video. Otherwise, close the application. Once the update is complete, restart the virtual machine. Usually there is no need to restart the machine after the update. However, you need to restart the system if you've just update a new kernel. 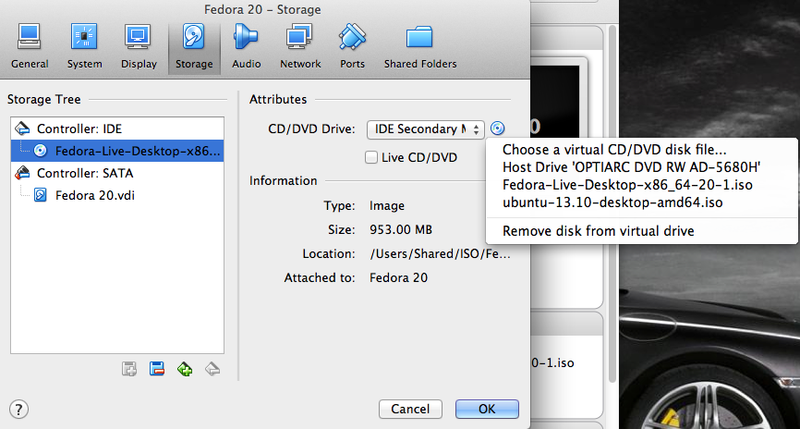 VirtualBox guest additions allows you to control the screen size of the virtual machine, in addition, you can share folders between Fedora and the host system. A dialog box asking to if you want to run the disc just mounted. Click Run. If for some reason you could not run the disc image. You can navigate to the folder of the mounted disc and launch the program from there. After you have installed Fedora 20 on the virtual machine and you've also installed the guest additions, you may need to install additional software and plugins. 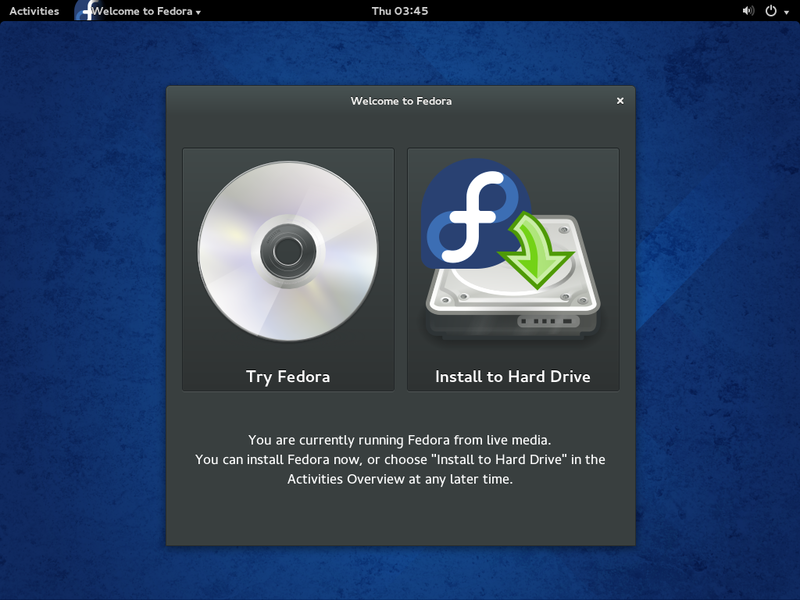 Please refer to Fedora 20 Post Installation Software Configuration Guide.